Last April, my friend Mary Vollero was invited to show her video —The Long Goodbye — about the last days of the Garman Opera House at the international Corona Fastnet Short Film Festival in Schull, County Cork, Ireland. FYI, I previously blogged about the demise of our town’s historic theatre, which you can see here, here, here, and here. After losing the court battle, the Bellefonte Borough Council had the theatre torn down between December 30, 2013 and January 15, 2014 (additional pictures can be seen in my Facebook “RIP Hotel Do De and Garman Theatre” album. When Mary told me she had been accepted at the festival, I teasingly said, “Could I come in your suitcase?” She laughed and then a couple of days later called me and asked if I’d like to go with her. 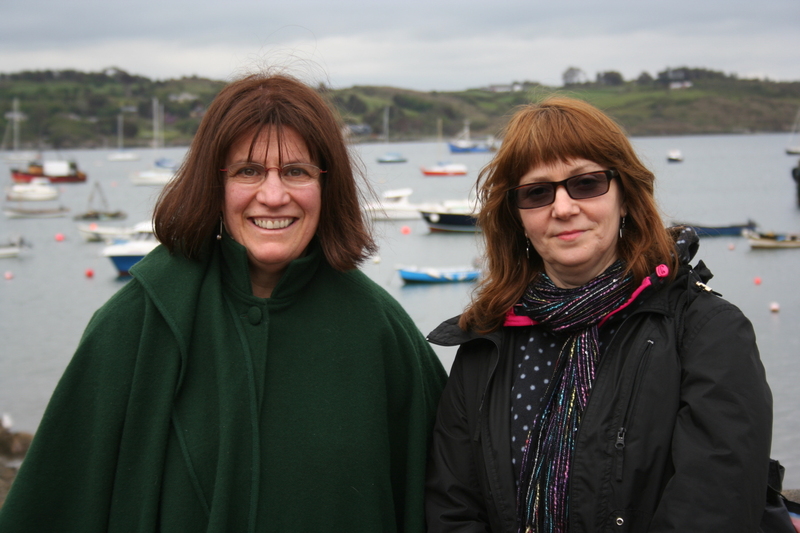 So on May 21, 2014, the day after the two of us helped staff our precinct for the Pennsylvania 2014 Spring Primary, we left for Ireland and flew to Cork and then drove to Schull in West Cork. We attended the festival in Schull for several days and did a bit of touring in County Cork. We drove/took a ferry to tour West Cork, including the Altar Wedge Tomb, Bandon, Goleen, Long Island – Inishfada, Macroom, Mizen Head, and Schull. We both took lots pictures of our trip. We also stopped in Bandon to pick up an Irish cloak that I ordered and paid for online in April after finding out I was headed to County Cork. This is the same store that my sister had purchased the green Irish cape for me as a gift for our mutual birthday in 2013 (see picture above of me with Mary Voller0). Here’s a picture of me wearing the heavier-weight Irish cloak I had custom-made by Siobhan Wear, picked up in Bandon, and brought home with me. 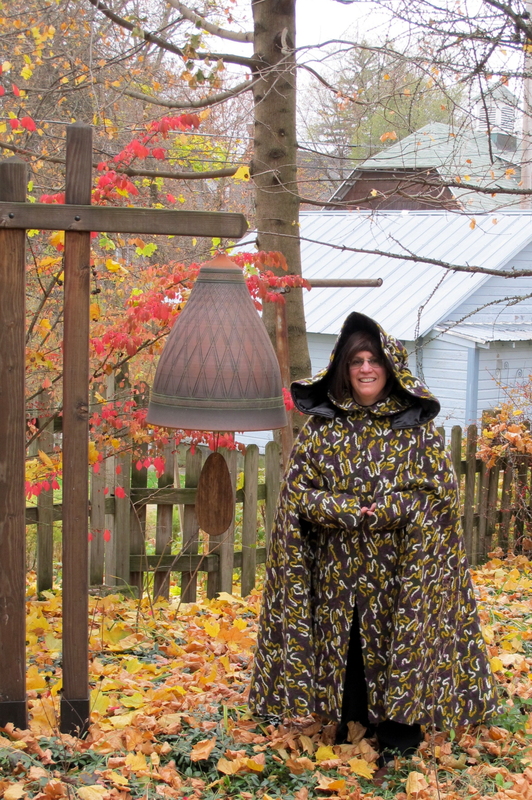 Joanne at home wearing her custom-made Irish cloak in the fall of 2014. − two of the Irish blessings included in this photographic video: my wish to all my readers.